EDDIE D. (“Fast Eddie”) DIAZ, 51, passed away peacefully at home surrounded by his loving family after fighting a courageous battle with colon cancer. He was preceded in death by his sister Deanna (Sissy) Diaz. Survived by a loving family, his son, Travis Diaz; parents, Frank & Della Diaz; sister and brother-in-law, Brenda & Kirby Wells, brother & sister-in-law, Carlos & Diane Diaz, nephews, Gabriel, Joshua, and Jacob; and nieces, Jamie, Frankie and Jade. Eddie was loved by many; he had an amazing group of friends and colleagues. He was known as “Uncle Eddie” by the children of his beloved friends. Eddie enjoyed his career as a heavy equipment operator for the Operating Engineers Local #3. While raising his son, Travis, he took a position at UC Berkeley as an HVS Operator; he then returned to Local #3. He spent his life doing what he loved most: racing and riding motorcycles on and off the road. He had a passion for speed, earning the nick name “Fast Eddie.” Ed also enjoyed golfing, camping, playing the piano, cooking and getting together with his friends and family. Eddie was life member of the Richmond Ramblers Motorcycle Club. Throughout his years of service at the club, he served as President, Vice President and Competition Director. 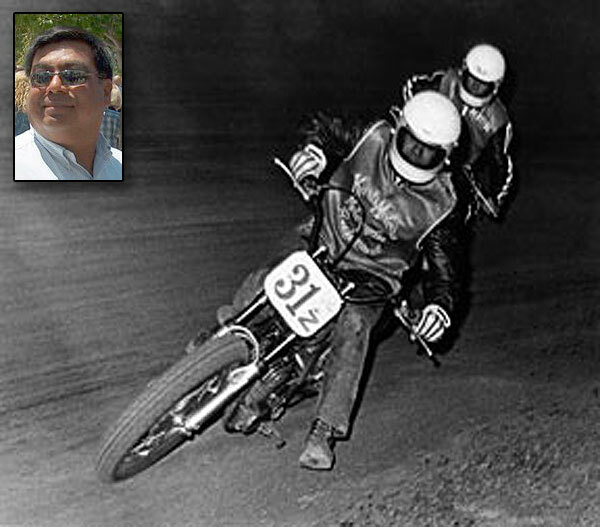 Ed was a life member of the District 36 Motorcycle Competition, where he served as past President and Motocross Stewart. He was also a life member of AMA (American Motorcycle Association). Eddie was very active in the BlueRibbon Coalition and as a member he was instrumental in re-activating LAO (Legislative Action Office) fighting to keep riding areas open for future riders to enjoy. Friends and family are invited to honor and celebrate his memory on Friday, April 10 @ 1:00pm at the Richmond Rambler Club House, 818 Dornan Dr, Point Richmond, CA. For further information, go to www.rrmc.cc. The family has set up the Eddie Diaz Memorial Legal Fund at the BlueRibbon Coalition for those who may want to make a donation in lieu of flowers.